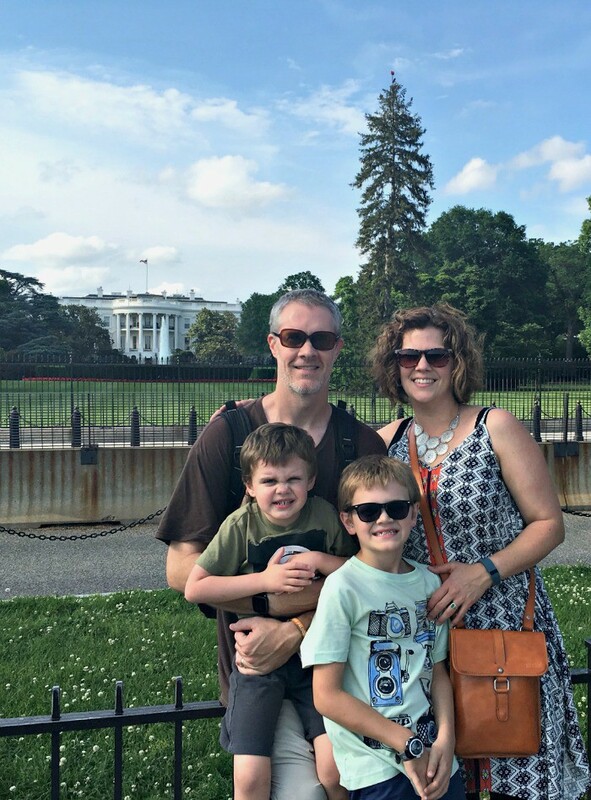 Ever since I found out my husband, who served in the Army on 3 different continents, had never been to Washington DC, I’ve wanted to plan a trip. It’s less than a 6-hour drive from Raleigh, and for years, we talked about taking a weekend without the kids to head north. As the years went by and the kids got a little older, we realized those plans weren’t going to make themselves. 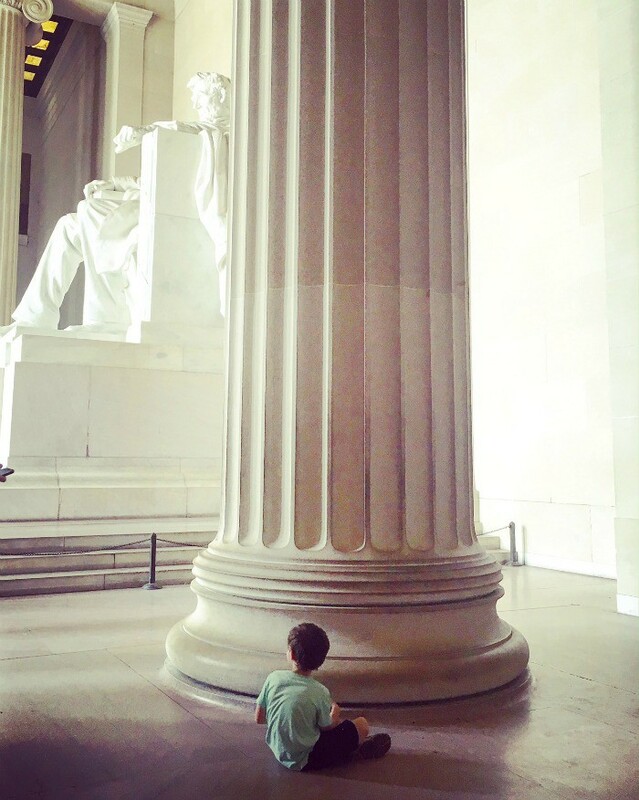 Oscar, having just finished first grade, was really interested in learning more about our Nation’s history, so we threw our adult plans out the window and decided to bring the whole family. I am so glad we did. I have quite a few things I want to share about this trip and I plan to break it down over the next couple of weeks. But in light of the recent tragic events in Orlando, FL, I want to share why our Washington, DC trip was so meaningful and important to us. Yes, there are many fun things to do and see around the city and we did as many of them as possible! But no matter what you know about America, there is nothing like standing where our founding fathers stood or reading name after name of the men and women who fought to keep us free. To say we were humbled would be far too small a statement. Feeling small is something most of us fight. We equate small with helpless or with a loss of control. That is uncomfortable so we do what we need to do to feel strong and big again. But after our weekend in DC and the news from Orlando, I’m feeling the need to linger in this small place for a few more minutes. Yes, my voice matters and your voice matters. We should all vote and act and speak truth. We should fight for freedom and we should disagree with each other. We should hold our leaders accountable for their actions and we should not walk away from our neighbors. But in the small moments of reflection, we should also listen to each other. My feeling of smallness is not an excuse to deny your freedom and vice versa. It’s a tricky balance and ours is by no means a perfect country. I had no control over where I was born. I am grateful to be an American, but I certainly didn’t earn it. I can use my voice to take action. But I should also use my ears to listen for the opportunity to add my voice to a chorus. 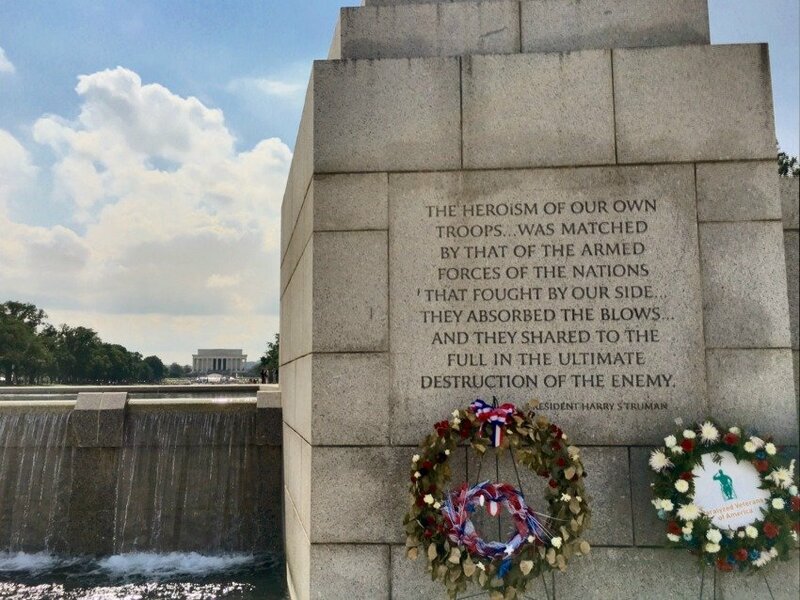 I think that’s why there is something so moving about the National Mall. It’s a ton of walking between monuments, but seeing everything together, memorial after memorial is an incredible experience. 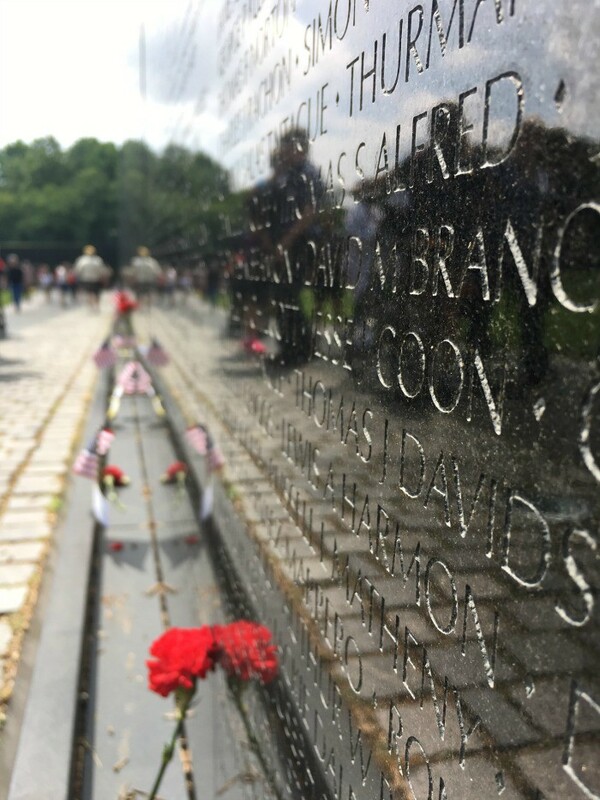 We touched the names of the fallen, nodded and shook hands with veterans who were paying their respects to loved ones and talked to the boys about war and nation-building and topics they really can’t fathom yet. It was a visual chorus of generations working together despite (or perhaps due to) many disagreements. “People fail to get along because they fear each other; they fear each other because they don’t know each other; they don’t know each other because they have not communicated with each other.” – Martin Luther King Jr. I know a lot of our words went over their heads. But having the boys with us on this trip was no mistake. It was special to all of us and I hope they remember the feeling of family and history we all felt that weekend. 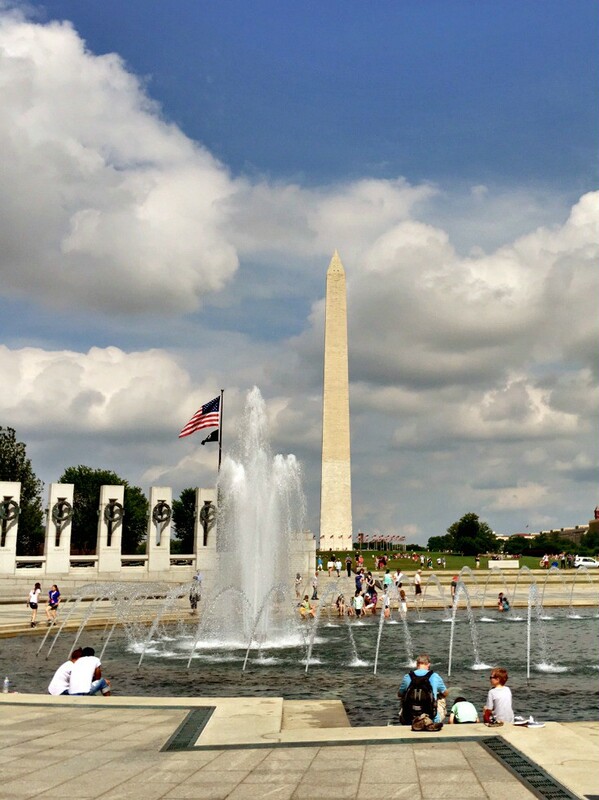 Being in our nation’s capitol was a reminder that nothing is free. It was a reminder that evil exists and that men and women are capable of making some terrible and tragic choices. But it was also a reminder of the fighters. Thousands upon thousands of soldiers, men, women, voters, letter-writers, protestors, bloggers, journalists, pastors, tradesmen, and on and on who use their voices daily to form and reinforce the foundation of freedom. It’s not a perfect system, not by a long shot. But I’m grateful to be here. I’m grateful to have the liberty to use my voice to teach our children about good and evil, that nothing is free, and that if we want good to win we must be willing to put in the work to make it happen. In doing so, we must respect those who disagree with our views. That is true freedom. That is why we went to Washington DC. D.C. is definitely a must for a visit. 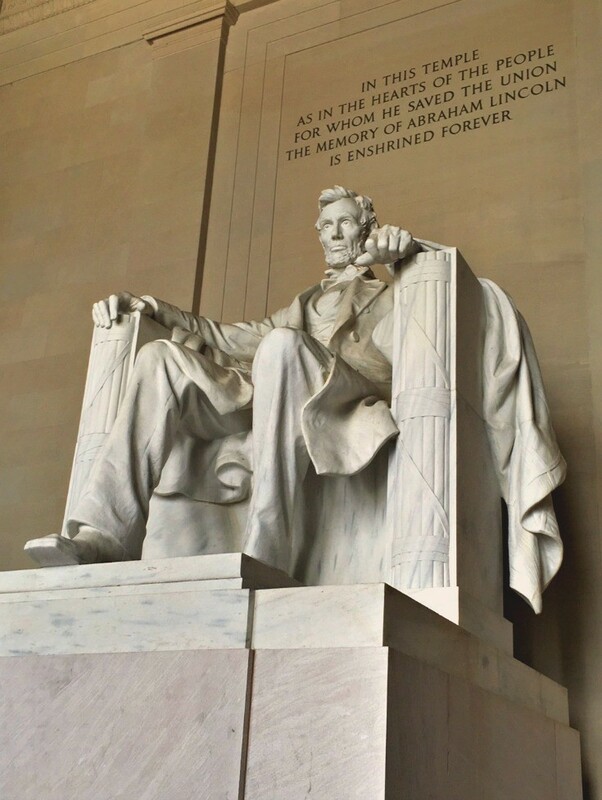 We took our kids 3 years ago and between the American history and culture, it was a wonderful trip. Thanks for writing this. I needed to see this today. This is on our #bucketlist for this summer! Love Washington. Took my kids when they were young – it’s time to go back. Washington DC is on our bucket list this summer. Cannot wait and I love your photos!